The internet is definitely a world of possibilities, may be to be precise ‘Limitless possibilities’. In other words, you can make money while resting on your couch at home and on the other hand, chances are that you can also be stolen that way. Well, there can never be an uglier scene than being stolen on the internet. At least if such happened somewhere in Kikuubo(Downtown Kampala), all you would do is alert the public and I bet the idiot would be chased down the street and with everyone pelting him with at least something solid, he would vow never to repeat such an act. The internet is different. Your macho and the fact that you are loyal to gymnastics would be of no help. That fact alone cannot hinder us from learning the many revenue streams possibilities that the internet offers. The greatest asset therefore remains to be our knowledge of authentic revenue streams on the internet as we are bound to come across a lot more dubious streams than the authentic ones. One such authentic revenue stream is the Google AdSense. A free resource from Google that allows website publishers of all sizes to display targeted Google ads on their pages and hence earning money for every click on those adverts. In simple terms, an AdSense subscriber is a sales person for Google. Well, the fact that AdSense applies to website publishers, you may be thinking that this is way out of your league but I beg to disagree. Personally am not a webmaster and I have always earned from AdSense. Then what does it take to milk this internet cash cow? My grandfather told me that the right thing to do and the hardest of the available options are sometimes always synonymous. Well, Google AdSense is not the easiest of things to do... It’s a tough job. However, the bright side is that it could be the most rewarding as we all know that the internet does not close shop in case of a ‘walk to work’ riot. In addition, what is posted on your blog or website may last forever and Google will always provide the relevant adverts for the content. The space and context of this article may not allow me to highlight all the possible AdSense optimization techniques available however to improve your earning you could try out signing up with the famous website www.infobarrel.com. Infobarrel is a crowd sourcing website that allows subscribers to publish their content on the website and share revenue generated from the adverts. The good news here is that your main concern is to deliver to Infobarrel quality content and the worry of ranking high on Google search pages is no more. However if AdSense is a very tough road, you can also try out www.helium.com. This website will not share ad revenues but pays a flat rate of approximately $15 to $40 for every article submitted. The submitted article will however be subject to some strict quality checks. Without a doubt, the internet is the ultimate investment vehicle. We are all witnesses of graduates canvassing our streets for jobs. The current inflation dilemma has added insult to this injury. 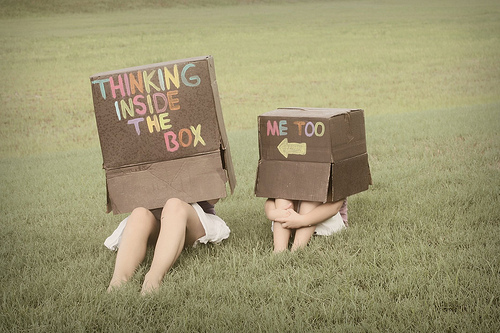 Let’s stop thinking right in the middle of the box. There is more fun and reward outside the box. You don’t have to rent shop space.